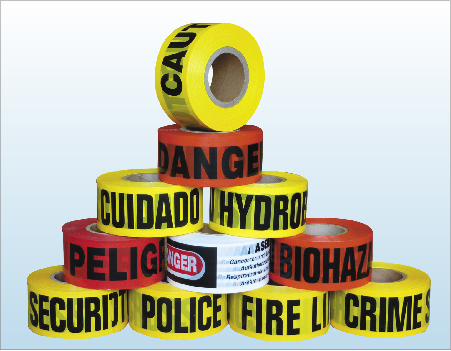 Barricade Tape is non-pressure sensitive adhesive product, that is polyethylene film and printed with a continuous repeat message or warning in bald black letters. It is designed for visual warning in hazardous areas and special instructions to temporarily control and secure identified area on an immediate basis. It is perfect for using in the construction sites, road work, chemical and industrial plants, fire and crime scenes as well as any potentially dangerous areas.